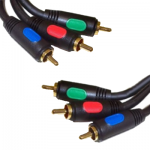 A range of RGB video cables including high quality gold plated cables! 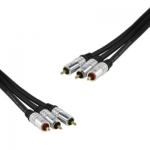 If you’re looking for AV triple phono leads visit RCA Phono Triple Leads. If you can’t find what you’re looking for feel free to Contact Us, we’re always happy to help!